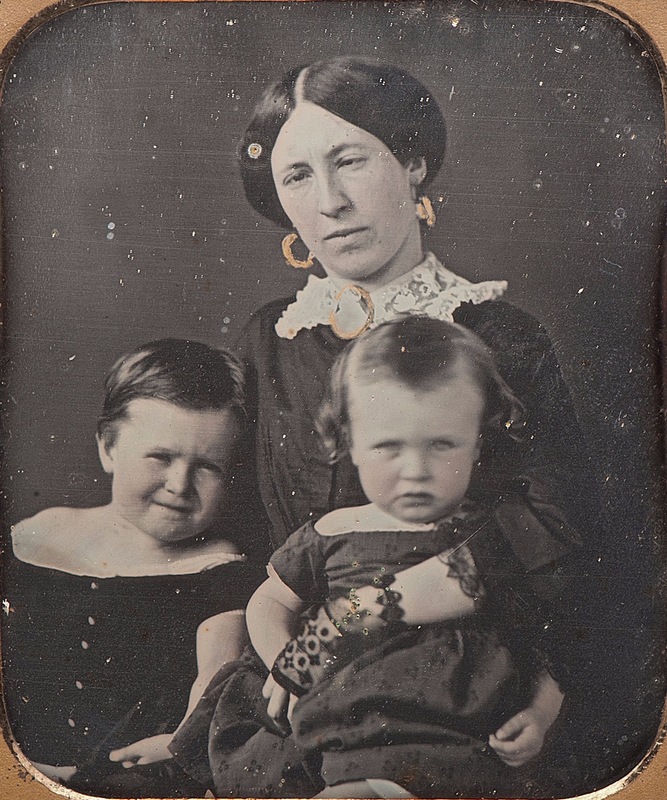 Julia Dent Grant with Frederick and Ulysses Jr., in St. Louis, 1854. Lieutenant Grant was in the Pacific Northwest at the time and had not yet met his second son. This daguerreotype was discovered in 2016 and sold at auction for $18,000.